SoftFile can keep your document management equipment in proper working order through a low cost annual maintenance agreement or a one-time service call. Many one-time service calls can be completed by the next business day. 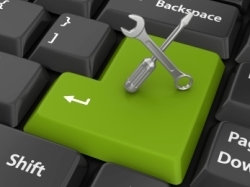 SoftFile offers on-site repair of your equipment. SoftFile maintains mission critical document management equipment for numerous government agencies and business entities. SoftFile has a network of factory channels (including; Konica Minolta, Kodak, Fujitsu and more) in order to source hard to find parts for all types of document management equipment. SoftFile is factory trained on many brand name models. SoftFile is a preferred equipment maintenance vendor for many State of California agencies.